On 17 August 2017, a white van hit pedestrians on La Rambla, Barcelona, leavin at least thirteen person deid an dozens mair injured. 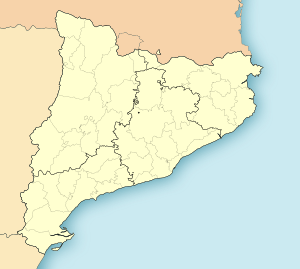 Several ither attacks in Catalonie follaed. ↑ "Source: Early assessment finds TATP at Barcelona attackers' bomb factory". CNN. Retrieved 18 August 2017. ↑ "Spain attacks – latest updates". BBC News. Retrieved 18 August 2017. ↑ "Cell of eight suspected in Spain attacks". Retrieved 18 August 2017. This page wis last eeditit on 22 August 2017, at 03:13.